I took a little time off while getting started on my summer project. It's not Latin-related... but it is folklore-related, so perhaps of interest: it's a collection of chain-tales! I'm not sure where exactly this will end up, but I have had a lot of fun getting started. HODIE (Roman Calendar): ante diem tertium decimum Kalendas Iunias. MYTHS and LEGENDS: The art image for today's legend shows Birth of Apollo and Artemis, and there are more images here. TINY PROVERBS: Today's tiny proverb is: Disce docendo (English: Learn by teaching). 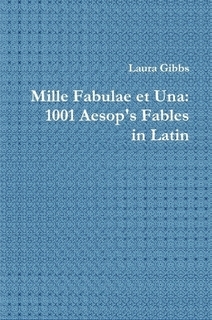 PUBLILIUS SYRUS: Today's proverb from Publilius Syrus is: Occasio aegre offertur, facile amittitur (English: Opportunity is hard to grab, easy to lose). PROPER NAME PROVERBS: Today's proper name proverb from Erasmus is Magis sibi placet, quam Peleus in machaera (English: He is more pleased with himself than Peleus with his sword; from Adagia 2.8.26... The gods had bestowed on Peleus a marvelous sword forged by Vulcan himself). ELIZABETHAN PROVERBS: Here is today's proverb commentary, this time by Conybeare: Crocodili lacrimae: Crocodiles teares. A proverbe applied unto them which hating an other man, whom they woulde destroye or have destroyed, they will seme to be sorye for hem. It ys taken of the propertie of Crocodilus the monstre, who beholding a man comming whom he would devoure weepeth, and after he hath eaten the bodye, he washeth the head with his teares and then eateth it also. 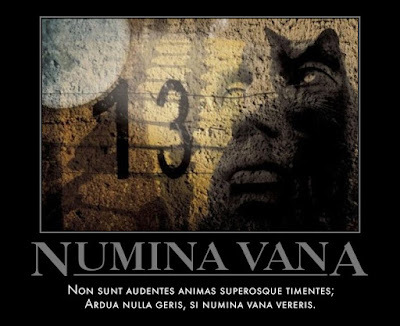 BREVISSIMA: The distich poster for today is Numina Vana. 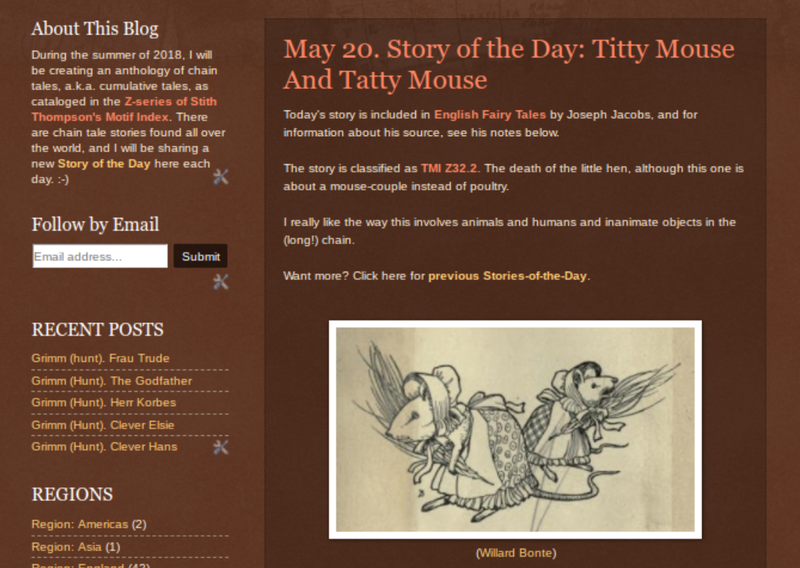 Click here for a full-sized view. In books there is freedom. After the darkness, I hope for light. PHAEDRI FABULAE: The illustrated fable from Phaedrus for today is Cervus ad boves, a story about being observant: Latin text and Smart's translation. STEINHOWEL: The illustrated fable from Steinhowel for today is De cane antiquo et eius domino, a story about a bad boss: Latin text and English versions.